Note : The english translation of the aforementioned book is available at local Islamic bookstores. Lecture: Importance of Holding unto The Sunnah by The Noble Brother Abu Sulaymaan Faisal. 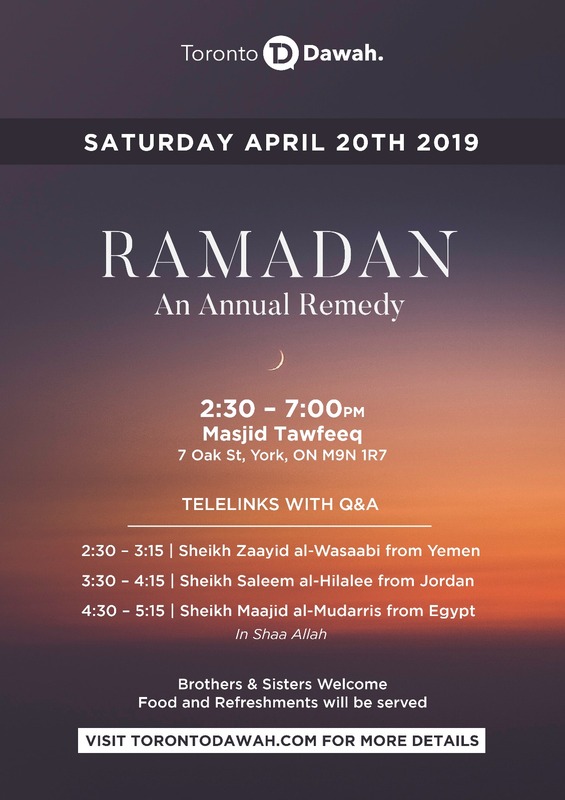 We encourage the brothers to come out and benefit In Shaa Allah. Note: there will be live streaming once the classes start; the link to the live stream can be found here in Shaa Allaah.